One of the best views in the world for a snow blowing aficionado! haha. That's about the same amount of snow I got the other day and my old Cub went right thru it. We're expecting some more tonight and I have no concerns. I'd use my single stage on the deck but it needs a new pull cord and it's a been too cold for my 70 year old bones the last couple of days. Just have to go slow and shovel my deck then when I'm "warmed up" get out the 2 stage and go to work. Cub Cadet has become the top of the line MTD brand. It appears they are trying to distinguish between their brands with new features every year. I see all the Cubs now come with steel chutes. Don't know how long this one will last but I wouldn't hesitate to buy another. For all I know this one may outlive me! Congratulations on the purchase! I'm very close to buying this exact blower myself. I was curious, how fast is the 4-6th setting on the transmission? I have a long driveway (approx. 230 ft.) and wanted something that could assume a good pace on the straight aways. So two winters of use now with no problems. The only issue i've had, (and i had this with my previous snapper as well) is that when its suuuuuper cold (like 20 below) the blade wouldn't spin initially. I have to try it several times (it will stall) before it kicks into gear and starts moving. This only happened to me once or twice this past winter. I assume its because some gears somewhere are frozen up or the pivot point of the blade that gets wet is frozen up, most likely the spindle that the blades slide onto. Is there any recommended way to deal with this so you don't break your unit? This is how i killed my Snapper, trying to get it to turn when frozen. Should i blow a hairdryer on it for a few minutes? I keep it in a garage but it isn't heated and I can't get it into the house obviously haha. Glad to hear your Cubbie is treating you well. When you say blade spinning are you talking about the augers/rakes or the Impeller (the three or four blade piece) behind the augers that throws your snow???? Or are you talking about the Drive system...friction disc & Friction wheel???? one might be slipping? Seems like another reason why you can not trust ratings from Consumer Reports that rate the Cub Cadet tops. They may emphasize price more than reliability and longevity in their ratings. 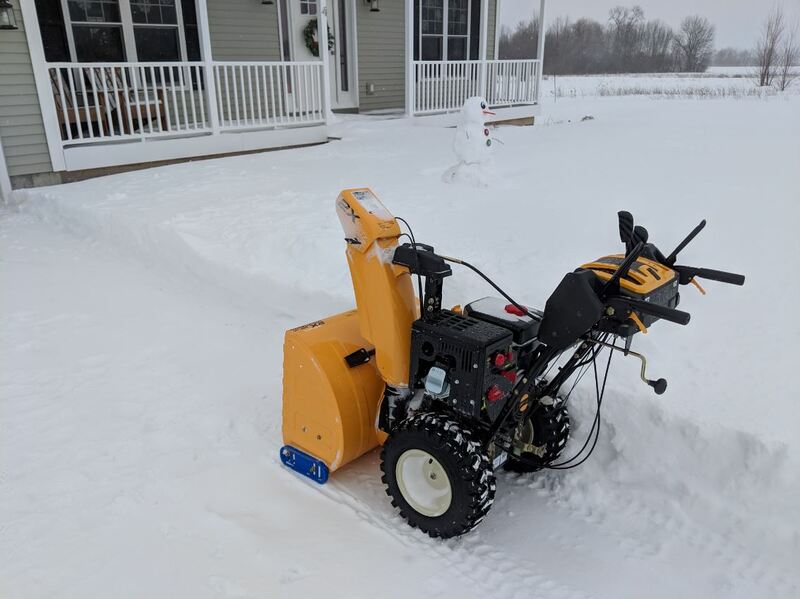 they say they emphasize owner feedback more now but almost any NEW snowblower works well for the first few times. If someone thinks something is junk I think their opinion should be heard. It's not all a bed of roses in the snowblower world. New potential owners should be able to hear all sides of the story BUT they should back up their opinions with facts and/or personal experience. Now I think Coors beer is Junk. If you can afford to purchase the smallest kerosene fired salamander/space heater purchase it as you will be able to warm up the snow mule and also melt all the snow and ice off of it and inside the snow mule. to warm up the gear box and the cross auger housing and in the process warm up the engine oil and V belts. When you clear the driveway make your first pass down to the road/street and get rid of the END OF DRIVEWAY MONSTER and feed the moat monsters with its remains-don't worry they can handle all the salt from the END OF DRIVEWAY MONSTER so there are no issues there. 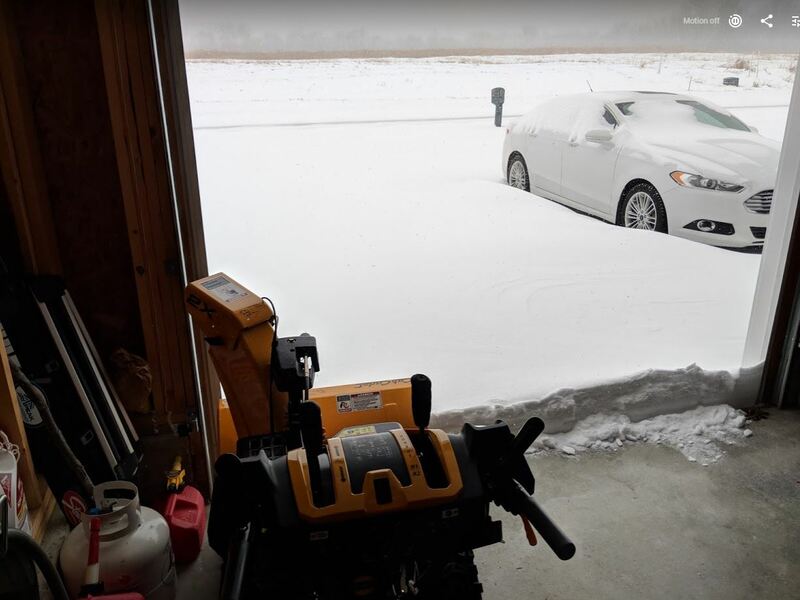 By doing it this way you will flush all the salt and scrape up dirt through it while crossing the driveway and when you make the succeeding passes up and down the driveway the snow blower will only be dealing with snow that is free of salt and road dirt. All you will need to do is fire up the salamander when your done and melt all the crap out of the cross auger housing and by then the drains in the impeller housing will have allowed all the snow to melt and drain away to the floor drain if your garage has one AND you will be able to heat up your car and also melt of the ice and snow out from your vehicle before you park it in the garage. Don't invest in a propane fired heater UNLESSS you purchase one of the 2 element Mr. Heaters and a 40 pound propane tank.